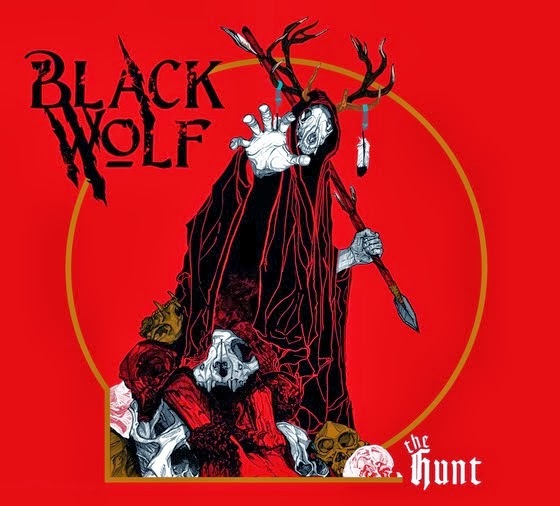 Review: "BlackWolf: The Hunt" - Sea of Tranquility - The Web Destination for Progressive Music! Highly anticipated debut album from this much touted five piece, The Hunt look set to propel BlackWolf along the same path currently being enjoyed by the likes of The Answer, and indeed the pair will be touring the UK together throughout March. As you will have no doubt deduced BlackWolf are all about the classic retro soulful rock n roll revivalist style without forgetting that all important contemporary edge. It is fair to say that there are a number of similar sounding bands around at the moment but what sets BlackWolf apart is that they have great songs to match the swagger and attitude. Bursting out of the blocks with 'Mr Maker' with enough power to light up an arena they rarely take their foot off the gas. Vocalist Scot Sharp has a voice that possesses that all important soaring quality set against the background of an abundance of hooks and licks that groove, shimmer and shake. The album has consistency right the way through although notable highlights include insistent new single 'Keep Moving On', the pounding throb of 'Sea of Merry' and urgent 'Dragging Ghosts'. A great start.